Renewing your vehicle registration is easier than ever! Thank you for signing up for a vehicle registration renewal reminder. At MVD Express, we want to make your life easier by providing you with fast service and easy online scheduling and ability to check wait times for any of our locations. You can expect to receive an email a week prior to your provided vehicle registration month that will allow you to schedule your appointment quickly! 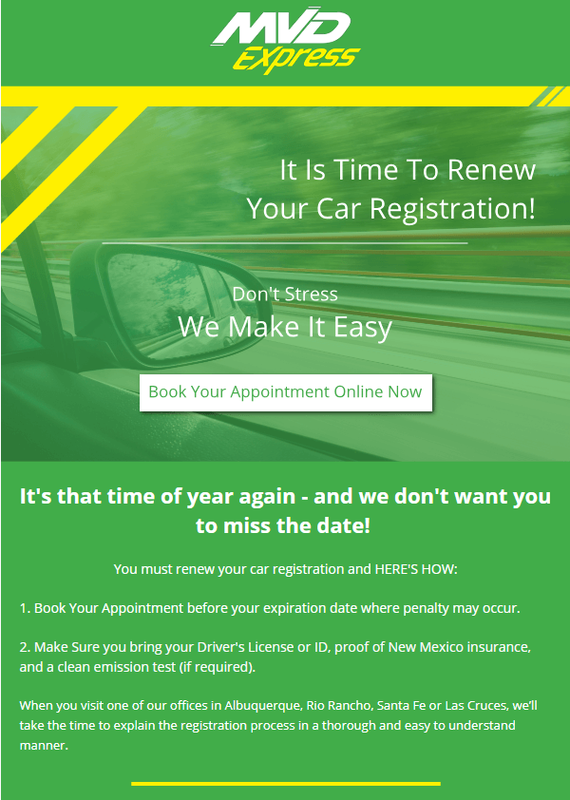 We look forward to helping you in any of our New Mexico locations when your registration is ready to be renewed!